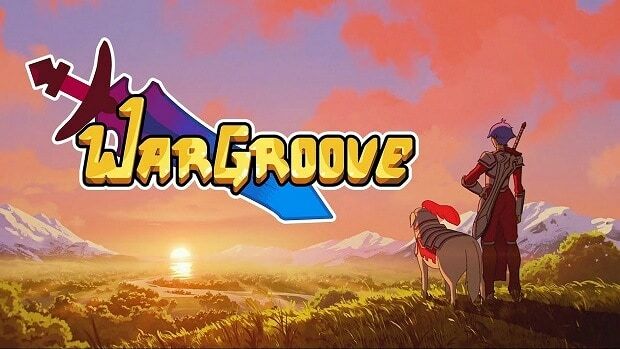 Our Wargroove Beginners Guide will help you learn all about getting started with the Wargroove experience alongside some tips and tricks. There are two ways of winning in Wargroove i.e. either kill an opponent’s hero or destroy their headquarters. The secondary objective is to collect as much Gold as you can to strengthen your army. Gold can be used to recruit units. Units are recruited at the barracks where your character spawned – each player gets one. Another thing to keep in mind is that beside your barrack there is also one more barrack located on the map. So, ideally, it is best to capture the other barrack too as soon as you can, since that will allow your troops to be summoned in the middle of the map, rather than all the way at the back. Furthermore, Player 1 will be able to reach this barrack much faster if he chooses to do so because player 1 starts closer to the barracks. However, Player 2 will have an additional unit to balance things out. The map is made of a grid containing boxes; your character has a certain amount of moves during each turn. Each unit has a different number of moves, so if your unit has 5 moves that mean he can move 5 blocks at most in any direction. You can check how many steps your unit can take, on the unit info; it is indicated on the top left. On your way forward, you have to invade buildings and conquer them in order to increase your revenue. Captured buildings provide you with a certain amount of income on each turn; this is the only source of Gold. So, the more you capture the better odds you have of recruiting a more powerful army. Additional buildings can serve as a healing base; it will heal you in exchange for taking some damage. That being said, buildings do have the health of their own. If an opponent attacks your building, he can weaken it, and if he attacks enough times, he will be able to capture it from you. Keep in mind that, not every unit can capture the buildings. To check whether your unit is capable of capturing buildings, again go to unit info and on the top left below the moves, it says “Captures” indicating that a unit can capture. Besides this character info, also tell which unit is Effective and Vulnerable against which another unit. This can be seen on the bottom right of the Unit info. Each unit has its own symbol, indicated above the “Effective” tab, so you can identify which unit works best again which other unit and which unit you have to look out for. After you have made all your moves with all of your characters, then you have to end your turn, so that the other player gets the next turn. Before handing over the turn, make sure you have moved all of your characters. It is best to save up for better troops, especially the flying units, they are powerful and most grounded units cannot attack them, they can be recruited from a different barrack, usually located near the normal barrack. However, they are easily countered by a mage. Each unit has different abilities and each character comes a different unit. Although the names of the units of all character are different, they essentially do the same things. For example, the fifth unit for each character has different names, it could be Bone Doctor or Shaman, but they have exactly similar abilities and similar cost of production. Same is the case with every other unit. As mentioned at the beginning, if the opponent gets rid of your Hero, he will triumph over you. Therefore, it is best to keep your Hero at a safe distance. However, it is not wise to keep your Hero too far from the combat, because he can assist very well. Every hero has a special ability called Groove, that can charge up passively over time on every turn or it can be charged faster if your Hero engages in a battle. A Groove can turntable for you, so keep that in mind. Apex Legends Loot Boxes Guide – How Microtransactions Work in Apex?